Svetlana Prokayeva - spimmobilien-des Webseite! - SP Real Estate & Hotels - young, highly committed - real estate specialists! Our focus is on expertise, reliability, transparency, clarity and respectful treatment. We try to see our work from the perspective of our customers and make our approach easy and understandable for you. Transparency in our work processes, our time-consuming consulting services and the high degree of flexibility in putting together a customized service package that is adapted to the requirements of the customer and the specific characteristics of the property are highly valued by our customers. That is why we work together with a network of lawyers, financial institutions and craftsmen to develop and implement your investment projects! We offer you comprehensive, competent and cooperative services for the purchase and sale as well as the rental of your real estate. Benefit from our interactive real estate network of our domestic and foreign partners, because each of your advertisements will also be published in Russian portals at the same time. In every individual transaction we act according to our values such as reliability, transparency and seriousness. Our confident relationships with our customers and partners help to meet the requirements and improve the value of Investment. I am Svetlana Prokayeva - your personal contact person. After my studies in modern languages, cultures and economics at the "Justus Liebig University" I made my way to Düsseldorf, where I trained as a real estate agent under § 34c of the industrial code and was examined by the Chamber of Commerce, IHK Germany. I am now at your disposal with my Know-how and my various contacts. My top corporate goal is to be able to offer every Business partner optimal support in every individual situation. Therefore, I am very happy to look back on years of experience in different companies and in different markets. During this time I was able to support people with very different interests and needs. No matter whether a property is to be bought or sold, whether rented or let, or even an investment is desired, I guarantee the optimal support for your project. 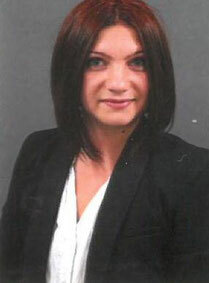 - SP Real Estate & Hotels - Svetlana Prokayeva - dedicated, competent, & honest.